Trees offer benefits like oxygen, fruits, and shade. Not to mention the fact that just by looking at them can actually make you feel relaxed and at peace. Just like you, trees can also suffer from various diseases. Fungal infection, insect infestation, unlikely damage to the trunk – these and more can cause a tree to deteriorate over time. This is where an arborist gets into the picture. They are experts when it comes to tree service. Also referred to as an arboriculturist, an arborist works much like your family doctor. While your doctor studies the physiological issues in your body, an arborist deals with a tree’s biological composition, its growth, and cultivation, basically everything about trees and other plants. An arborist also studies the diseases that might affect trees, and how to cure them. How does an Arborist deal with trees? Trees also need to be checked from time to time. Internal damages, for instance, may be caused by insects or fungi. The aftermath of heavy storms and winds can also cause major injury to trees and their limbs. Aside from damage to trees, your property might also be in danger due to falling branches. To prevent this, an arborist will handle the situation, make a thorough inspection of your trees, and see what can be done. Tree care also includes fertilization, aeration, and insect control. Pruning is necessary to safeguard the trees from insect infestation. It also removes dead wood and bark to effectively promote a desirable growth for the trees. Each tree type actually requires a different pruning method, and only a skilled individual like an arborist will know when, how and what to prune. For a tree to thrive, the location actually plays an important part. Apparently, you just can’t plant seedlings anywhere. A tree can only grow healthy if planted in a location and in soil suitable for its growth. An arborist has the knowledge to determine which tree goes with what soil and place. After a thorough inspection, an arborist will provide you with suggestions and recommendations concerning your tree. While some can be treated or braced, there are also trees that have become too damaged that there’s nothing more you can do but to have it removed. Tree removal is actually the last resort when worse comes to worst. 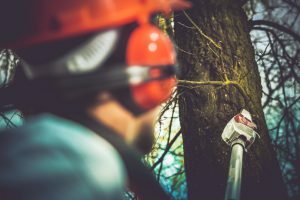 An arborist knows how to effectively and safely remove a tree from your property. An arborist usually spends most of his time out in the field so it’s important to be healthy and physically fit all the time. While he may not do all the sawing and cutting, inspecting a tree will still require him to climb and jump, perhaps. He may also need to face all kinds of weather conditions – snow, heavy rains, strong winds – it’s all part of the job, especially during emergency situations. It’s also important to genuinely love the job more than anything else. 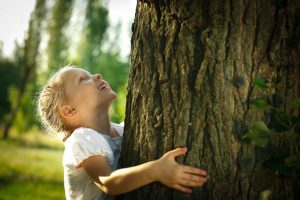 After all, a tree is also a living thing that needs love and care just like you do.